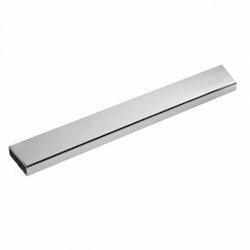 Leading Manufacturer of track to glass holder, wall to rod connector, rod to rod holder, shower sliding track and track to track connector from New Delhi. With firm commitment to quality, our organization is offering a wide range of Glass To Track Connector that is made available in different specifications. 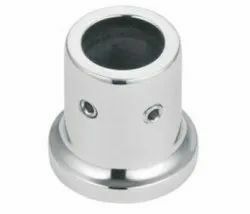 Manufactured by our professionals using the best grade stainless steel, these connectors are highly demanded by our dear clients. Adroit team of experts makes use of modernized technology to design these corrosion free connectors as per the set worldwide guidelines. Owing to the qualified team of professionals and advanced infrastructural units, we are providing a vast assortment of Wall Rod Connector. These rods are manufactured by our vendors' deft professional in compliance with the international standards of quality. We are offering these rods in various dimensions, standards and other specifications to fulfill the requirements of the clients across the nation. Janson enterprises offers wide variety of Rod To Rod Holder for Shower Sliding System for both official and housing purpose. Prominent & Leading Manufacturer and Supplier from New Delhi, providing Shower Sliding Track for our esteem customers. Janson Enterprises is providing the Track To Track Connector 90. Product in standard dimensions and thickness. 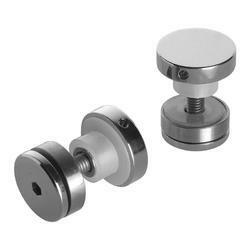 Product with minimum maintenance and are in adherence with set quality standards.